We look forward to welcoming you to ..
"Come and visit us soon." 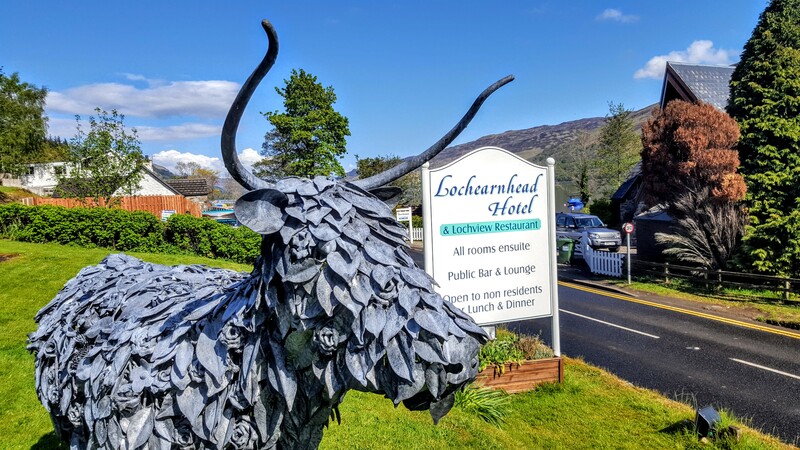 A warm welcome awaits you from the four villages of Balquhidder, Lochearnhead, St. Fillans and Strathyre which are located in an area of outstanding natural beauty with lochs, mountains and forests in abundance. Our aim is to offer visitor information on local accommodation, places to eat and drink, activities and things to do, events, exclusive shops and other services. 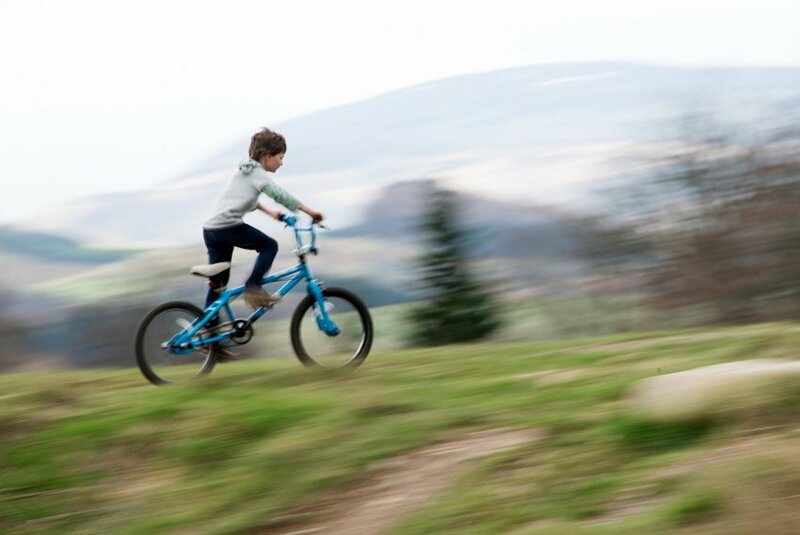 Our four villages, lochs and mountains offer a stunning selection of holiday accommodation in all four seasons. Choose places to stay to suit your accommodation needs whether you prefer hotels, self catering holiday cottages and log cabins, bed and breakfast, guest houses, restaurants with rooms or caravan and campsites. Collectively we offer a wide range from budget to 5 star luxury. Use our email enquiry service and tell us your preference whether you need to sleep 2 or 8 people. Are you looking for a family friendly, romantic couple, quiet location or pet friendly stay? Do you want to be miles from anyone else or near a restaurant? The more you tell us about your essential and desirable needs the better we can assist you with live availability offers. We enjoy a central location in Scotland. 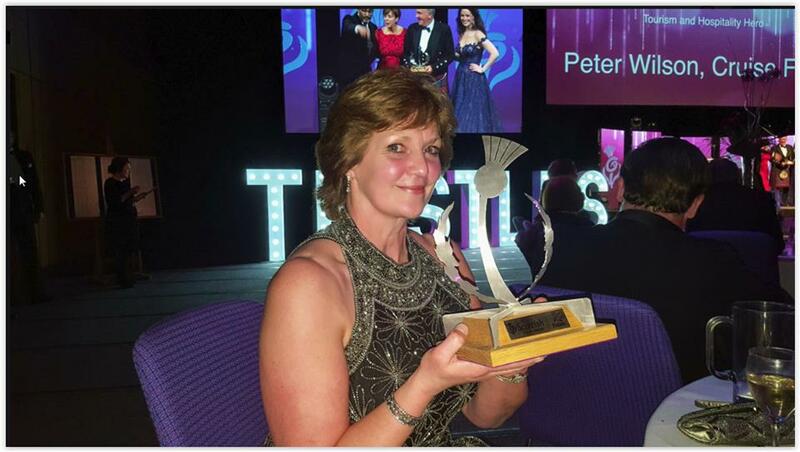 Our members work and stay where west Perthshire meets Stirlingshire and The Trossachs. This is an excellent base for a holiday. Scotland's major towns and cities including Edinburgh and Glasgow are within easy reach by car as are many historic sites, castles and palaces not to mention lochs, fishing villages and mountains. 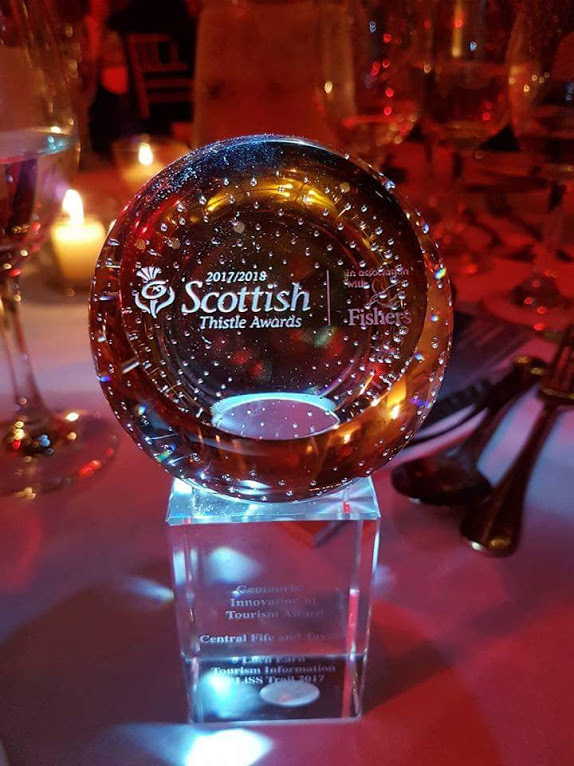 "We Won" LETi picked up the trophy for Innovation In Tourism, BLiSS trail 2017 at The Scottish Regional Thistle Awards for Central Tayside and Fife on November 23rd. 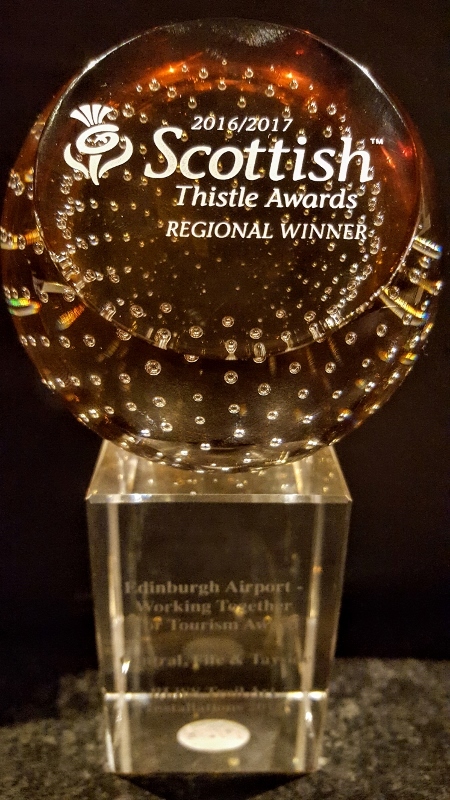 SCOTTISH THISTLE AWARDS 2016/2017 Regional Winner for "Working Together for Tourism" decided from Central, Tayside and Fife tourism areas. BLiSS trail was launched to celebrate Year of Innovation, Architecture & Design, #IAD2016 and was made permanent in Year of History Heritage and Archaeology 2017 #IAD2017. Three new sculptures were commissioned to depict #HHA2017 including "The Three Sisters" telling the story of Loch Earn's history and heritage and "Drover's Bho" celebrating the drovers and drove roads of Strathyre. 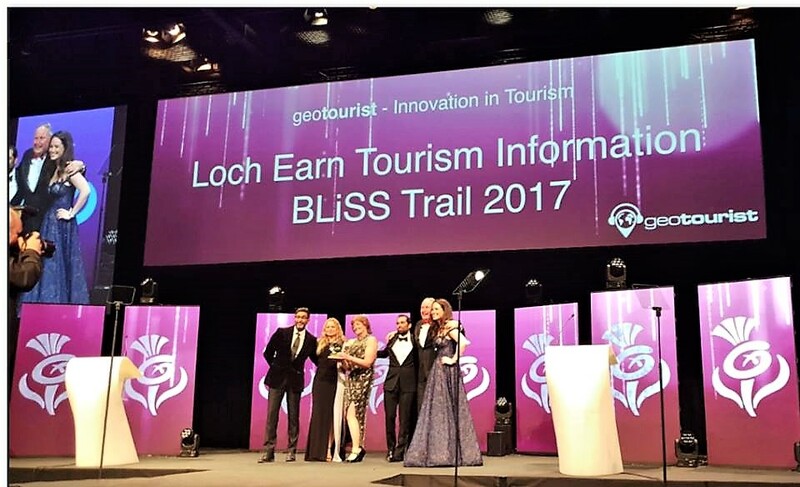 The name BLiSS is derived from the capital letters of each of the villages in our area; Balquhidder Lochearnhead, St Fillans, Strathyre. The i in the middle is symbolic of the i for tourism information and innovation. The trail was launched in 2016 as a project to celebrate #IAD2016. 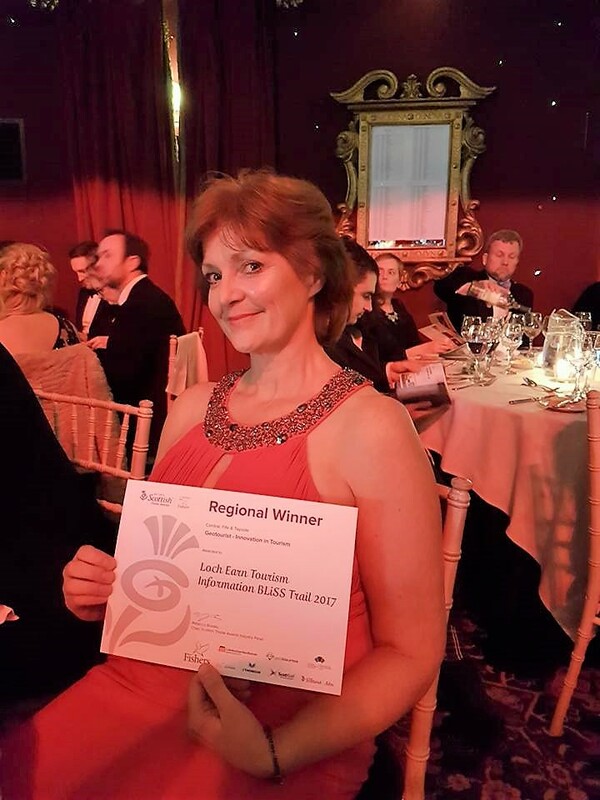 LETi has now established the trail as a permanent visitor attraction, continuing in Year of History Heritage and Archaeology 2017 with replacements and additions to match this year's Scottish tourism theme. Drover's Bho sits off the A84 Strathyre on Sustrans Cycle Route 7, celebrating the hard working drover's that rested in #robroycountry before travelling on to market. In 1770 the Tryst (cattlle market) was transferred to Falkirk from Crieff. Bho is Gaelic for cow representing the language of the highland drovers. The Three Sisters by Perth College BA and HND art students Shayna Mclean, Miami Mohsin and Amy Butler. Read about the concept for the fishing rod sculpture. 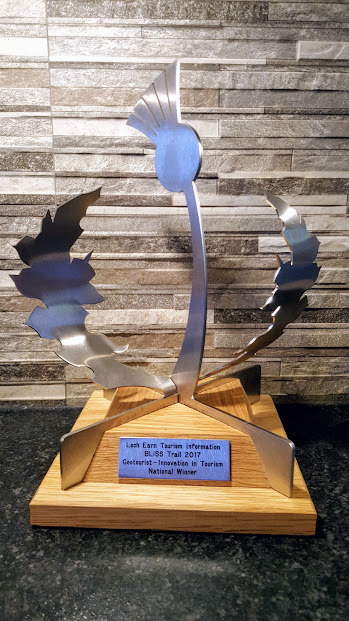 LETi is the first to be awarded an ArtRoots grant from national cycle network Sustrans Scotland and used the funding to commission Drover's Bho as a permanent installation on BLiSS trail. 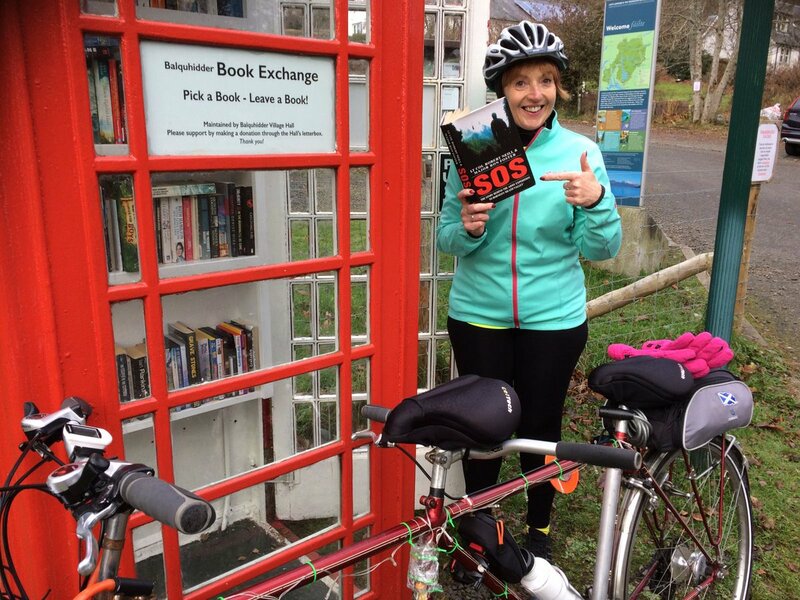 Sustrans Scotland's National Director John Lauder said "Art is an essential part of enjoyment of public spaces and placemaking, encouraging more to travel actively. Our new ArtRoots programme enables communities to make improvements to the National Cycle Network across Scotland. 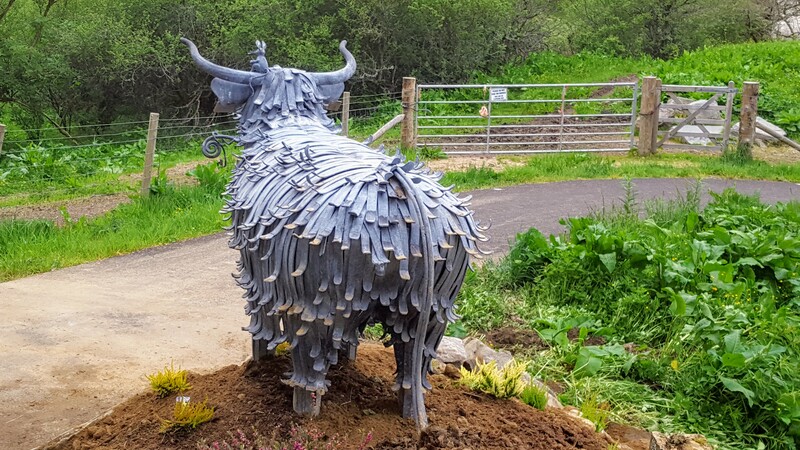 Drover's Bho is the first completed project from the fund and we think it is a fantastic addition to route 7"
Mirren takes over from Bill The Bull by Kev Paxton at The Lochearnhead Hotel on Loch Earn as part of #BLiSStrail 2017. 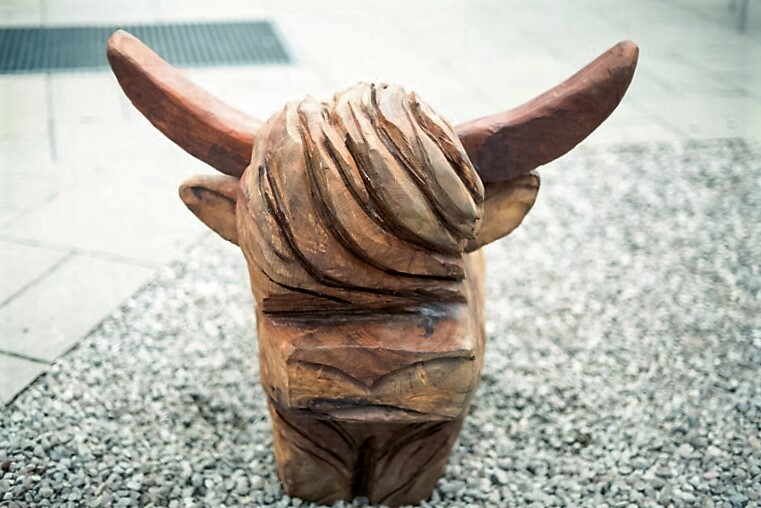 Those who saw colourful Bill The Bull in 2016 can be comforted in knowing that he has been gifted to the Ripple Retreat for young cancer patients on Loch Venacher by the artist Kev Paxton of ArtFe. The Lochearnhead Hotel will host a series of visiting sculptures by Kev Paxton going forward. Read our feature stories by guest writers on- Innovation, Architecture and Design 2016. 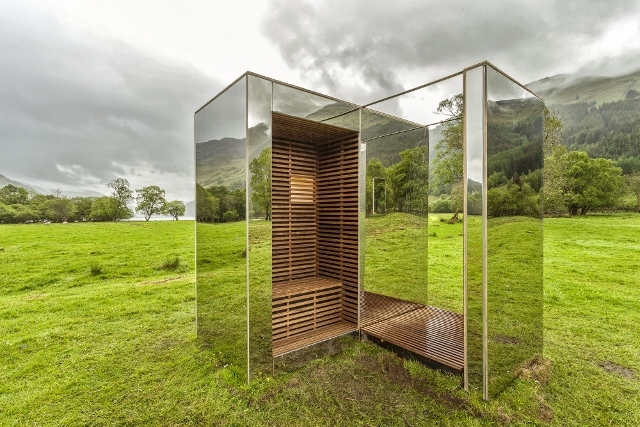 Local art, design, form and function: We live in a naturally beautiful area of central Scotland where locals have been creating, designing, innovating and building in complementary styles for centuries. There is evidence of neolithic burial chambers, ancient settlements up Glen Ample, Iron Age Crannog remnants on Loch Earn, Shielings and Cottars houses. Experience The Glen Ogle viaduct, The Lochearnhead and Balquhidder railway stations, General Wades roads, Edinample Castle, Stronvar House, Balquhidder Kirk by David Bryce, The Drummond family properties at St Fillans, The St Fillans Golf Course designed by Open Champion Willie Auchterlonie, The Lookout, a mirrored cabin between Loch Voil and Loch Doine designed by Angus Ritchie and Daniel Tyler for The Loch Lomond and The Trossachs National Park Scenic Routes project (now part of the BLiSS trail), SULA creative soft furnishing products and bespoke soft furnishing services using Harris Tweed and other Scottish wool fabrics in Strathyre ( shop outlet at Venacher Lochside), a mobile restaurant commissioned and operated by chef Tom Lewis and the team at luxury boutique hotel Monachyle MHOR - adding to its Glamping accommodation in a Pilot Panther and MHOR to your door catering services. Over the last decade the National Park has approved plans to build holiday cottages like Glenvarloch in Strathyre, Briar Steading on the 17th century site of a b listed thatched cottage, Sheiland in Lochearnhead and a brewery at St Fillans (Loch Earn Brewery & Hotel), In recent years Strathyre has enjoyed new build The Broch Cafe and we have seen the The Ben Sheann hotel renovated and open for business. The four villages are situated in the Breadalbane sector of the scenic Loch Lomond & the Trossachs National Park around Loch Earn, Loch Lubnaig, Loch Voil and Loch Doine. Popular Munro's and mountains include Ben Vorlich, Stuc A Chroin, Ben Sheann and Ben Ledi. You will find places to stay and eat all year round. Each season brings its own magic with the ever changing landscape and seasonal wildlife. Golf courses, cycle paths, walkways, forest trails and mountains are all available for fresh air and exercise in autumn and winter seasons. The Drummond, Ferguson, Graham, MacGregor, MacNab, McLaren and Stewart clans are all associated with #robroycountry and the Breadalbane area. Balquhidder, Lochearnhead and Strathyre clans gather at the BLS Highland Games in Lochearnhead every July. 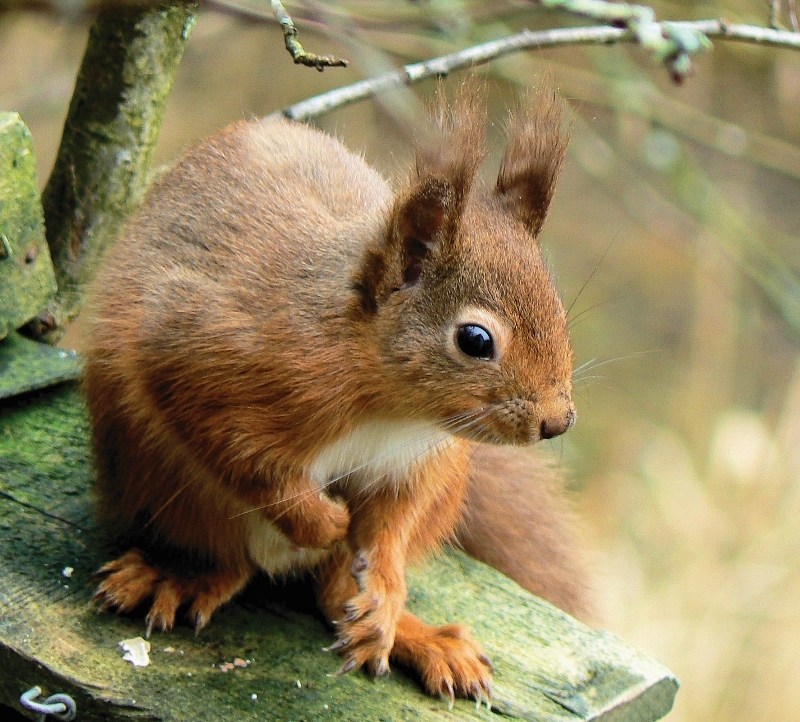 Flora and fauna abound with likely sightings of wild orchids, garlic and fungi plus red and roe deer, pine martens, badgers, red squirrels, black grouse and ospreys when they return each summer to nest. You will be able to find places to stay ranging from Hotels, Bed and Breakfast, Guest Houses, Self-Catering Cottages to Caravan and Camping Sites as well as great places to eat from snacks to fine dining, village shops and Post Offices. Walking and Climbing: Munros including Ben Vorlich and Stuc a Chroin, Corbetts, long distance cross-country walks, short walks by river or loch, forest rambles, The Rob Roy Way on Scotland's Gore-Tex National Trail and guided walks. Golfing: Sandy Lyle's favourite inland course is at St. Fillans and 32 golf courses within a 2 hour drive. Fishing: A wealth of brown and rainbow trout plus sea trout and salmon in our lochs and rivers. 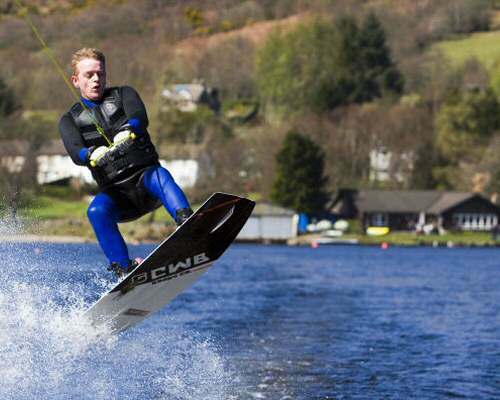 Water sports: Loch Earn and other nearby lochs and rivers are ideal for water skiing, wake boarding, kayaking, sailing, windsurfing and more. 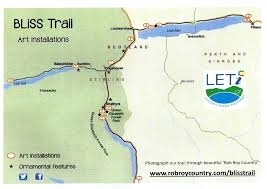 Horse Riding: Lochside and forest trails or riding schools/ stables within 20 miles. Field Sports: Shooting (including clay pigeon) and Stalking can be arranged. 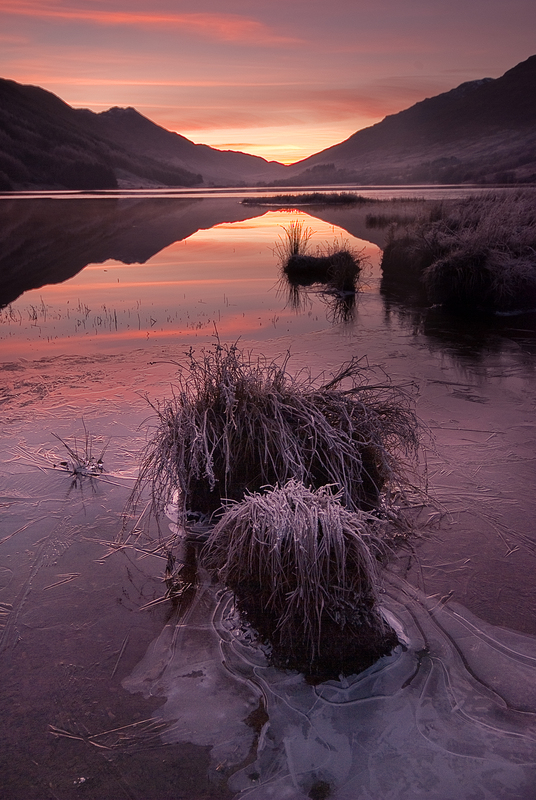 Loch Earn is the most centrally placed loch in Scotland and the area enjoys good road access in all directions. North to Glen Coe, Loch Ness or a ride on the Jacobite steam train from Crianlarich to Fort William and Mallaig crossing the Glenfinnan viaduct of Harry Potter fame. South for a day out in the cities of Stirling, Glasgow, Edinburgh, a trip around the Royal Yacht , Loch Lomond, a cruise aboard the SS Sir Walter Scott on Loch Katrine or a day at the Falkirk Wheel and Kelpies at The Helix. East to St Andrews, the RRS Discovery in Dundee, shopping or the theatre in the ‘Fair City' of Perth. West to Oban and a ferry trip to Mull and "Ballimory". Visitor attractions include Balquhidder Church and Friends Room, Glenturret Distillery (Famous Grouse), Blair Drummond Safari Park, Auchingarrich Wildlife Park, Comrie, Crieff Visitor Centre, The Crannog, Drummond Gardens, Crieff, Kenmore, Doune Antiques Centre, Doune Castle, Stirling Castle and Jail, The Falkirk Wheel, Wallace Monument, Deanston Distillery Doune, The Kelpies and The Helix, Pitlochry Theatre and many more within easy day trips. The local area is steeped in tradition and legend with evidence of ancient burial chambers, Pictish and iron age dwelling houses on water (Crannogs), drovers roads, run-rig farming systems, ancient forests, roads, railways, viaducts and more. Clan McLaren is one of the most ancient of clans with its history dating back 1000 years stemming from the Braes of Balquhidder. MacGregors took possession of their lands during feuds and raiding in the 16th century though McLarens re-established their titles and the current Chief Donald McLaren lives in Balquhidder today. Rob Roy MacGregor's grave stone lies withing the yard of Balquhidder Kirk and stories about McLarens, MacGregors and other local clans and septs can be discovered inside the church in The Friends Room. Whether you want to spend your holiday on a farm, relax with a romantic break at a country house hotel, camp with the kids in a family run campsite, have a pet friendly holiday or enjoy a luxury boutique hotel, there's plenty of accommodation to choose from. Many accommodation providers offer packages during the year and at New Year (Hogmanay). No matter where you choose to stay you will experience one of the most spectacular areas Scotland has to offer and a warm welcome from your hosts. 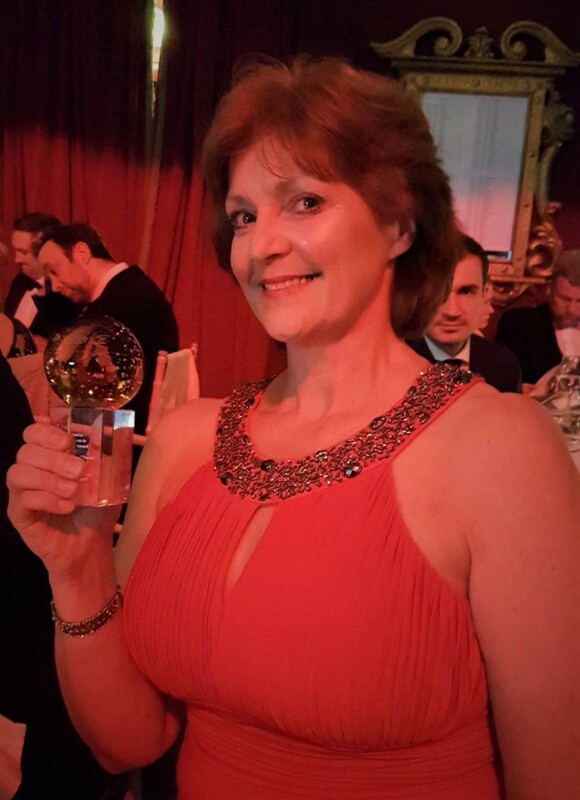 Whats On in Balquhidder, Strathyre, Lochearnhead and St Fillans? Look at our Events guide promoting a number of spectacular events peculiar to this region. For example The Balquhidder, Strathyre and Lochearnhead Highland Games in Lochearnhead in July. Loch Earn and its surrounding villages are so central within Scotland that the area is perfectly situated as a base from which to tour Scotland.